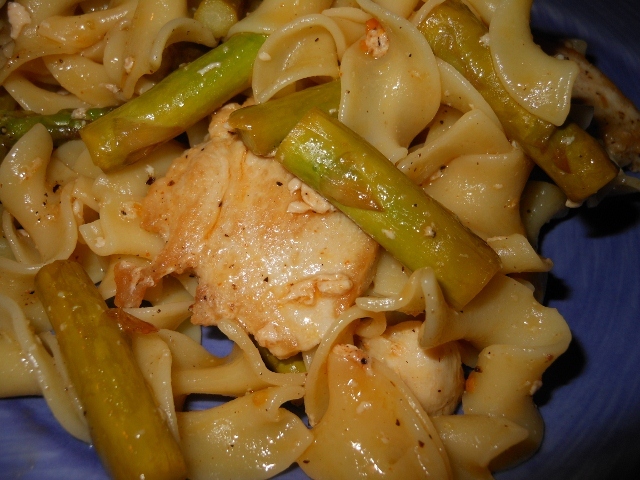 This entry was posted in Entrees, Recipes and tagged asparagus, boneless chicken breast, chicken, dinner, easy, egg noodles, food, garlic, noodle, quick dinner, recipe. Bookmark the permalink. It is hard to cook for two — and even harder to bake! With a small household, I can definitely relate. And since leftovers aren’t too popular with us, that makes down-sizing meals even harder.